When Ernst Lohmeyer joined the University (1935-1946), Greifswald acquired one of the most distinguished New Testament scholars without any special effort. Lohmeyer was transferred to Greifswald by the National Socialists in 1932 as punishment for his support of his Jewish colleagues at the University of Breslau, where he was Rector. In Greifswald he wrote works such as Galiläa und Jerusalem (1936), an important commentary on the Gospel of Mark in KEK (1937), Kultus und Evangelium (1942), Gottesknecht und Davidsohn (1945) and Das Vaterunser (1946). His language and his thinking were unique and beyond the many educational trends and disputes of his time. He refused to endorse the increasingly anti-Semitic interpretation of the Holy Scriptures and was a rare exception in the scientific community of the thirties and forties. After Gerhard Kittel (his pre-predecessor in Greifswald) held a lecture on The Jewish Question in 1933, he wrote a letter to Martin Buber apologizing and explaining. Largely because of his personal integrity, Lohmeyer was elected the first Rector of the University of Greifswald when it had to be reorganised after 1945. He was, however, also critical towards the Communist System. During the night before the re-opening ceremony of the University on 15th February 1946, Ernst Lohmeyer was arrested by the Soviet NKVD. The reasons for this –politically motivated denunciation that remains partly unsolved to this day - were as unclear as were his whereabouts. It was not until 1958 that his family and the population of Greifswald learned of Lohmeyer’s death. He had been executed in Greifswald on 19th September 1946. In 1996 exoneration proceedings took place. 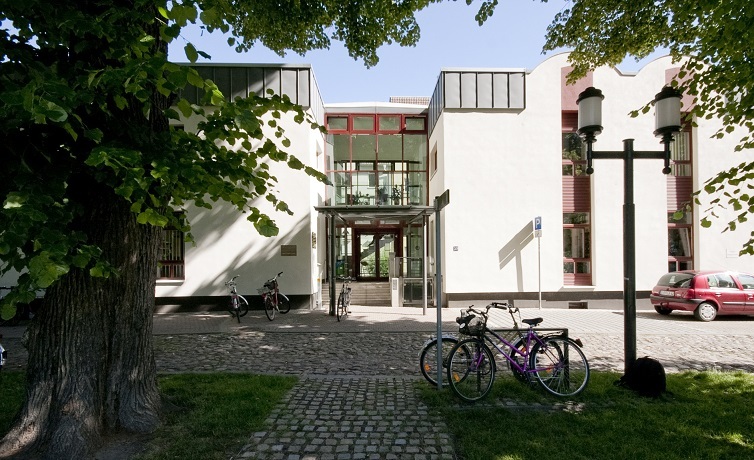 The Faculty of Theology’s new building on the Rubenowplatz which was handed over to the Faculty in 2000 was subsequently named the Ernst-Lohmeyer-Haus.